Why Is My Multiport Valve Leaking? Multiport valves are the main water route interchange for your pool water. If the water needs to be forwarded, reversed or drained out, it will need to be done through this valve. The routing system inside a multiport valve is essentially water’s equivalent to chutes and ladders. Filter – The standard operation mode; the water is cycled from the pump through the filter media and back to the pool. Backwash – This selection is the cleaning cycle. The flow of the water is brought in from the pump then routed to enter the filter reverse to the normal direction. This effectively begins to loosen and eventually eject dirt through the waste port. Rinse – Rinse returns the normal flow of water through the filter but it maintains the exit flow routed to the waste port. After a backwash some particles may still be left in the pipes so to avoid that dirt being ushered to the pool, we need to rinse. If the valve is the highway interchange of your water then the spider gasket would be the guard rail. These gasket spokes act as dividers to ensure the path of the water stays true. If your multiport valve has a drip coming from the waste port line, most pool technicians will jump for the spider gasket. 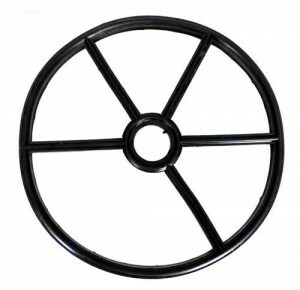 The spider gasket is located either on the diverter pinwheel or the base of the valve the diverter faces. When we select a function on a multiport valve and release the handle, we drop the diverter onto the spider gasket. If the gasket has become worn and warped then the water will seep through the seam and end up in the waste. the diverter against the spider gasket. 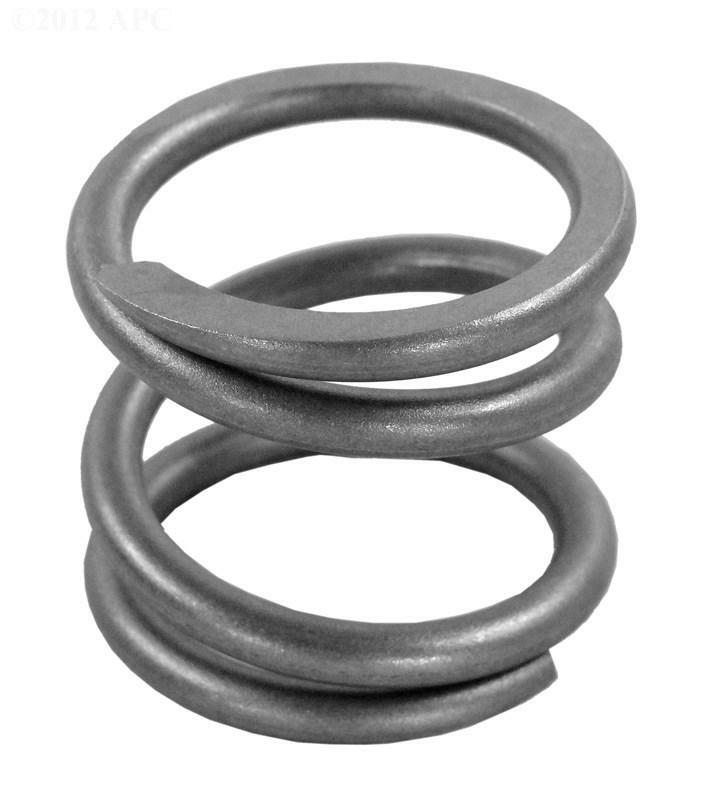 If the spring in your valve is worn, it may be causing a seam between the diverter and gasket which shows itself in the form of a leak out the waste port. The valve cover o-ring is found in the seam between the valve cover and main housing. If water is found leaking from this seam then this gasket would be your culprit. To access the gasket we would simply remove the 6 – 8 screws on the valve cover to remove it, peel out the o-ring, clean the groove, lube the new o-ring and re-attach screws. The Fix: Read an inch above this line. Whether the valve is a top mount or a sidemount, it has to connect to the filter somehow. At that joint connection there is a gasket holding on for dear life. Because of the high flow at these connections, a blowout is somewhat common and easy to spot. The Fix: Remove the valve from the filter and replace gaskets. Hopefully, the valve is piped in with unions so its removal is not a pain in the neck. Once the valve is off, find the gasket and apply a freshly lubed replacement. Thanks for skimming through our pool musings. If you have any further questions about pools, valves or otherwise, feel free to give us a call at 877-372-6038. My valve leaks from the top under the handle. Hope I can post here about my own pump leaking from the hole under where the handle goes into the pump on the top of my Hayward DE filter pump….hope this is something I can fix myself? Can you clarify the location of the leak? I am little confused from the description. My valve is only leaking when on “filter”, and by leak I mean it is flowing almost as much as when it is on backwash. It is air tight when on recirculate. Any suggestions on what component might be the culprit? 1) Damaged spider gasket spoke, allowing water where it shouldn’t be. 2) A loose/jiggly handle is a sign that the diverter spring is damaged. If the spring is broke the diverter will float and allow water to go where it pleases. Because the valve is new, the diverter spring is going to be hard to compress. It should unstiffen over time. As for the leak, we covered that in the article, try opening the valve to see if the spider gasket is out of place. I actually am having the same problem as Sarah. I recently had a broken lateral line, so we purchased a replacement lateral line assembly from you guys. It works, but like hers, the water is coming out of the waste/backwash port when it is on filter. I do notice the handle seems a little loose, but when you take out all the screws and take the head off then the handle is tight again. The gasket seems to be fine. On rare occasions, the spring can lose some of its stiffness. So, when your water pressure rises, the diverter will rise just enough to allow water out the wrong port. This is a problem that would only present itself when the valve is under pressure, and hard to test for. I went ahead and purchased the whole top multi port . We put that on and it still leaks just as bad as it did with the old one. Any other suggestions? I had the same problem, even after replacing the spider twice! The culprit is a broken or collapsed side wall grove that holds the spider in place on the backwash sector. the spider gasket then cannot be held by both sides in its groove/position and thus during filter mode, water shushes through this into your backwash. Solution is to buy a new multi valve. I found after replacing the valve 3 times that it was an issue with the water pressure in the pump causing the leak. I adjusted my inlet and outlet water and it works perfectly now. Jason how were you able to adjust you inlet and outlet water. I also changed my valve 2 times and still I have the same problem of leaking. How do you adjust pressure? I am getting small air bubbles blowing into the pool with the return water. Is this caused by a bad spider gasket? I know a blog a that answers this very question, take a look at it here: Why Do I Keep Getting Bubbles In My Jets? Water is leaking from under the valve, it looks like its coming from where the valve and tank meet. Is this the regular gasket, o-ring or spider gasket? It sounds like you have a leak from the valve flange gasket. What is the model number of your valve and filter? Hi Matthew, I’m having the same problem (valve leaking from underneath). I have a Hayward multi-port valve, model sp-715-a 50 that connects to a DE-6020 filter. it’s an older unit, and it looks like the new model # is SP0715XR50. The original poster has a top mount sand filter, which is going to have a different configuration than your sidemount DE filter. Can you give more detail as to where, underneath? Like is it coming from the main body of the valve, underneath the valve cover(where the Backwash, Rinse, and Filter sticker is, or from the unions that attach to the tank? If the valve handle is not too jiggly, it sounds like a bad spider gasket. Do you know the model number of your valve? I may be able to find you the correct replacement gasket. Bad diverter spring, dislodged washer or broken stem. The only way to know for sure is to open it up. I cover why that might be happening in the article, see the gasket or spring section. My filter is leaking where the multi port valve attaches to filter ball.pours out checked the o ring looks fine put lube on it put it back still leaking? Is the valve secured via a clamp, bolts or screwed on? I don’t have any visible leaks, but my filter pressure is not rising – it’s been fixed at 10 psi all season. Not normal. Also, some material I vacuum comes back in returns. Filter grids are new, so could it be bad multi-port valve? First thing, have you tried changing the pressure gauge? It may be reading a constant 10 psi because it is broken. The dirt showing up in your pool may be torn grids (even if new) or a manifold issue. The only way to know for sure is to take it apart to find the defects. The normal sign for a defective multiport valve is water where it should be i.e. flowing from the waste port when set on regular filter mode or from the valve housing itself. Thanks for reply. Yes I tried another gauge, same read exactly 10 psi. Will disassemble and check grids again for defects. Good suggestion checking waste port for leaks, will do that too. Mathew, I was wondering if you could help me. Our pool company recommended we change the filter gasket since the pool vacuum was unable to get good suction. (We checked the hose for any tears and had the pool company try their vacuum and had the same issue.) so we purchased a gasket and after changing it there is water gushing out of the filter by the top where the handle is. We cannot run the pool now because the amount of water is so much. We took a before picture to make sure we lined everything up the same way when we put it back. Any help would be greatly appreciated. Did you replace the main tank gasket of the filter or a gasket on the valve? If there is water escaping from the multiport valve handle, you likely have an issue with the o-rings or washers on the diverter stem. Can you provide the part/model number of the multiport valve? Help!! I have a brand new Hayward S210 Pro Series Sand Filter. When i try to send my vacuumed water to waste, the water goes to waste AND returns into my pool! I can’t get in touch with Hayward. Wait times to talk to them are 20 plus minutes. My water is extremely cloudy so I used floc in it and now can’t vacuum it out because some dirty water is returning to the pool. Sand filter is only 40 days old!! I’m hopeful its a warranty issue but I can’t get in touch with Hayward to find out. Spider gasket looks good and so does the spring. Is the spring on the multiport valve slack? Also has this issue been happening since you installed the filter or is the issue relatively new? Spring is not slack at all. The cloudiness started about 2 weeks after the new filter was installed. I thought it was a chemical issue at first. Chemicals are perfect according to a local pool store. The first time I used the waste was this past weekend. Thats when I realized the water was going to waste and returning to the pool. Before that though i was noticing sand returning into the pool but I thought maybe because we had just changed it out that it was normal. Now more and more is coming in. Because you are getting sand in the pool, you may have a lateral or standpipe issue but that does not explain the water going the wrong way. Before you had the water diverting issue did you remove the valve cover or check the spider gasket? If there is a leak in the multi purpose valve, could this cause the creepy not to function? There is leaking around the valve handle, bubbles shoot into the pool (but no jet of water) and there is no suction on the creepy. The multiport valve is on the pressure side of the system, so it should not cause your Krauly to not work. Have you checked the cleaner’s hose for air leaks, or the cleaner’s disk and foot pad for excess wear? My spider gasket and the diverter spring failed on my Hayward VariFlo XL valve, so I purchased a new valve to replace it with. After removing the 6 screws I pulled off the old valve and installed the new. I noticed that there was no gasket between the diverter and the multiport valve housing. After tightening down the bolts in a star pattern I had a lot of seepage coming from that seam. I cannot seem to stop it completely. I removed the valve, cleaned the mating surfaces thoroughly and applied a layer of plastic epoxy between the two surfaces. After curing the leaks are mostly gone, however I am still getting a slight leak from one area between two screws. Could the mating surface of the multiport housing be warped or should there be a gasket between the two surfaces? The new valve didn’t come with one, nor did the old valve have one installed. There should be a gasket to seal the seam between any two individual pieces of the valve. The two main gaskets are the spider gasket, that resembles a wagon wheel and the valve cover gasket. The valve cover gasket sits between the valve cover and the valve’s housing. Without these gaskets, you would see significant leaks. I have a Waterco T600 filter and it nearly drains my pool when its on filter,and if i put it on waste it drains but at the same time you can see the dirty water returning to the pool.Could this be the spring on the multiport valve? My filter is leaking when I turn it to “Rinse” after I backwash–everything else is fine. Have you checked the spider gasket like I mentioned in the article? 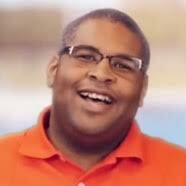 Matthew, I have a 12,500 Gal salt water pool with a Pentair 1.5 HP pump and a Pentair SD-80 sand filter with a 1.5″ multiport valve. The valve handle is on top of the sand filter and I have noticed while the pump is running in the filter position the MPV leaks around the handle, haven’t noticed this that much in the backwash or rinse positions but its probably as bad too. Also the handle seems to have a lot of play in it. The sand filter also drips from the drain plug in the bottom and the sight glass, not bad but if I am going to fix one thing I might as well fix em all . Otherwise the filter cleans the water and holds pressure fine, I think its the spider gasket and spring but don’t know how to go about replacing it, isn’t there a certain procedure to follow? The handle problem you are describing sounds like a bad diffuser spring and/or diffuser stem part. In the diagram below, in Box 1 we see all the parts contained on the handle-to-diffuser assembly. The Spring marked as Key 8, the Washer as key 7 or The o-rings as key 9 are likely bad are all things that can cause the leak or the handle to have too much play. We have guides on how to fix the problems in on DIY section. Matthew I don’t see a diagram, I looked at the diagram for the Sand Dollar filter but it only lists a box 1B which is the full Multiport valve and does not break it down to the diffuser parts. I have Pentair filter. When filtering, I have a leak coming through the hole in the stem of the air pressure relief knob. The local store says to replace the whole valve. Is there a way to fix the leak instead? Tim, did you find something to solve your problem? Mine is the exact same as yours. I was able to solve it a few years back by bet this – putting crazy glue around the top part of the hole where the pressure valve goes in but this year that isnt working. I really dont want to buy a new one! Hi. We have a Hayward Series Vari-Flo XL. We have been having problems with our filter not properly filtering and now we have an algae issue. We noticed when vacuuming the pool green was coming back into the pool. My husband took out all the sand, checked the later assembly intake valves and then replaced the spider gasket. When putting everything back together; we now have water coming up from under the handle. Help! My daughter is having her 8th birthday party in 3 days. Any help would be appreciated. The two problems are separate issues. If you have green water going into a filter, green water is going to come out. You need the shock your pool, and add algaecide to kill the algae. Read/watch this guide: How to Clean a Green Pool? And you are seeing a leak from the multiport valve handle because either a gasket or gasket is broken on the diverter stem. Or they were dislodged as you were servicing your filter. I have a sta rite sand filter and it is leaking slowly out the waste port. It will stop when the filter is set on recirculate, but is leaking when on filter. Any suggestions?? Our entire article is filled with suggestions. Did you give them a try? I have a Pentair 261050 high flow valve that was sticking awfully on turning. It never actually leaked, but I always thought it not good that it make loud creaking noises when turning it. I figured maybe something inside just needed a lil lube. So I disassembled it (8 screws) and the washers look a little bent but otherwise everything looks fine. The spring has a lot of tension. No damage seen to gasket or diverter. So I cleaned everything and wiped the spring and washers with a paper towel that had a little wd40 on it and put everything back to gether. The valve now turns smooth as butter but there is a tiny leak under the handle. A little bit of water collects under there, not a huge leak. So I took everything apart again, and took the oring off the diverter (which wasn’t easy) and lubed it, and put everything back together again but it still leaks a little under the handle. I ordered a new oring and will see if that helps. Someone suggested it might be my spring but I don’t understand how. It has a lot of tension. The handle does jiggle but the handle screw is threaded. Considering the handle is simply used to lift the diverter I don’t think this is the cause of my problem. I ordered a new handle too anyway. I guess I’ll order a spring next, and washers next. I hope I don’t need a new valve. Your opinion? Had a leak for while coming from the handle of the MPV. So took it apart, cleaned it, and reassembled. Smooth turning of the handle but leak probably a little worse. Plastic washer looked a little worn and was quite a gap from the plastic washer under the handle from touching the stem. So took back chance and bought a washer from a Hayward MPV as mine is no longer listed online or sold anywhere as it’s so old. Anyway, I reinstalled but it didn’t fix the leak from under the handle. So reinstalled and flipped the original plastic washer, still no joy. So I repeated procedure and added vaseline to plastic washer and metal washers either side of the spring. Still leaking. Can’t see any cracks, spring has lots of tension in it. Can’t see what the problem is. Please help? Also does it matter how tight I tighten the 6 screws? Will it make a difference? Just to confirm I have no leak from the sides of the MPV. The metal washers either side of the spring are not bent and look true. They are identical when paired together. What’s my next step? What is the model number of your valve? I need to get an idea of what you are working with. As long as the screws/nuts aren’t juggling they should be tight enough to prevent leaks. Thanks for the reply. Where can I find a model number of the valve? The only markings or name is on the handle itself. The model number should be listed on or around the top sticker of the valve. My multiport valve is leaking under the handle (hayward), could it be the spring or the spider gasket? And could that leak be the reason why my pentair Intellichlor generator has a solid red flow light and salt water low light blinking red? I also hear bubbles coming from one of the return lines.Both returns seem to be full power (albeit the occasional bubbles). I already cleaned the Intellichlor cell with the acid, but there wasn’t any calcium in there anyway, this is it’s 2nd summer. After putting it back together, the flow light was green for about 10 seconds before going back to red. It would have to be a heavy flowing leak to compromise the flow switch in a cell. But your system sounds like it has two separate problems besides the cell: an air leak and leaking valve. The bubbles coming from your return are likely from an air leak. Here is a guide that can help you in find the source: How to Correct Low Water Pressure in Your Pool System. The leak from the top of the multiport valve could be a bad diverter stem o-ring or broken washer. You will have to open up the valve to take a look. I am not sure what which valve you have but this exploded part view of a valve may help. Key 7,8,and 9 are the washer, spring, and stem o-ring respectively. The two major sections of the article mention the spring and spider gasket as possible causes for leaks. Probably not, but it is a sign of a bad gasket or cracked plastic piece. Hi, we have a strange water leak in our pool. It leaks only occasionaly, just up to the bottom of the skimmer level. Then for weeks it’s ok, then we lose water again! we’ve checked for wet areas around skimmer etc and all seems ok. i do know our Multiport valve has gone, the heavy spring doesnt work. When we move it we make sure it’s back in it’s proper place. There are no leaks within the pump room coming from the Multiport Valve so i guess it was ok. We’ve checked the main drain looking for any water coming out but cannot see any leaks in there either. Can there be underground leaks or leaks we cannot see if the Multiport Valve is causing this loss? Yes, there can be leaks from the leaks in the pool basin, but it would be odd for that type of leak to go away for a couples weeks then come back. 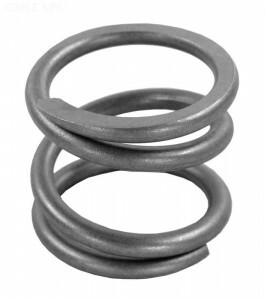 The multiport valve could also be the issue, especially if your multiport valve spring is shot. A bad spring can cause water to flow through the backwash port. have you checked the area to where the backwash pipe drain to determine if the area appears wet when it shouldn’t be? I have an Sand Dollar SD-40 with 1.5″ 6 position multi port valve. Just replaced the diverter with gasket and the spring on the diverter stem. Reason for replacement was water was leaking out the backwash value about as fast as it was going in the return. After replacement of these part problem remains. If I select backwash nothing comes out the backwash port. If I select filter water comes out backwash and return. If I select rinse water comes out only the return to the pool. Did I put something in backward have something else damaged? The handle and diverter may not be properly aligned. If you remove the handle assembly on the valve is the hole on the diverter opposite the handle, as pictured? Can you be more specific? That is a very wide net you are casting. Please help. I have a few questions. What if we don’t rinse after backwash? Could that be the reason water is pouring out the drain while on filter? Also, does it matter which direction (clockwise , counterclockwise) I turn the latch to switch modes? Also, does it matter the precise level of water in the pool? If it’s too full will it drain on filter mode? Question, why wouldn’t you rinse when you backwash your filter? Also, have you opened the valve to check the spider gasket or diverter spring as the article suggests? If not, I would start there. Yes, it does matter how the handle is turned. You should only turn it one way if you take turns going clockwise and counterclockwise there is a higher chance of the gasket getting stretched or pulled out of place. My variflow is leaking from the bottom pipe that commects to the filter tank. Is there a gasket where that pipe goes into the variflow housing? Its leaking from the section that goes into the variflow housing. What is the model number of your filter and valve? 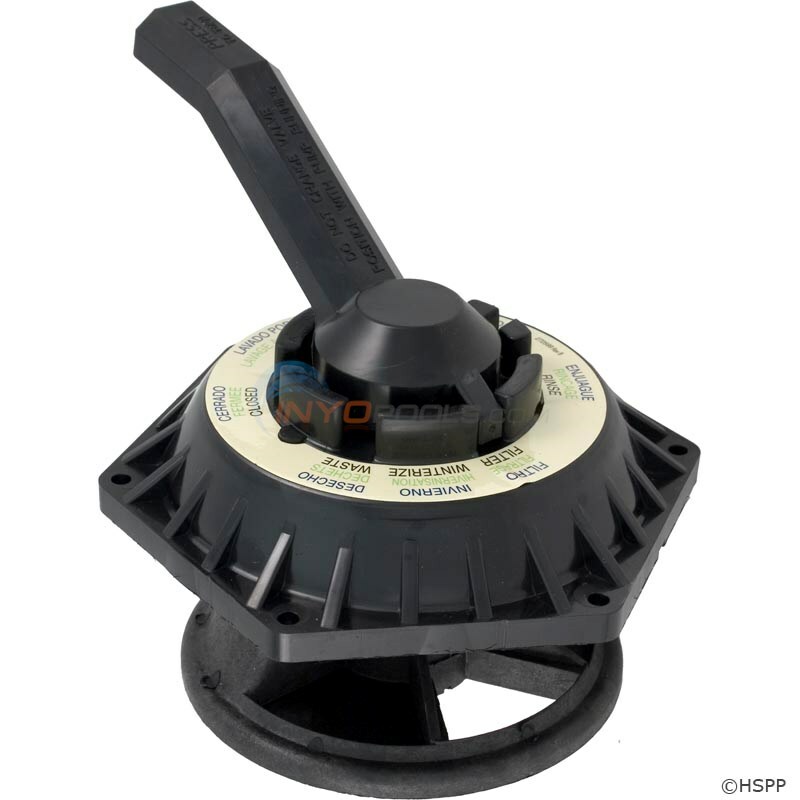 Hayward makes several with the name Vari-Flow, side mount and top mount versions. I am adding water to my pool 2 times a week. No visible leaks around pool. Could the multi port valve (Jandy) with sand filter be leaking internally and how can I verify that? Check your waste port. If the valve is leaking internally the only place the water would be able to escape is through the waste port. Any quick way to check that without opening the valve? Yes, check the waste port. I have water coming out the backwash port while on filter and when on backwash the jet is blowing in the pool. We have replaced the spider gasket and looked at the lateral assembly nothing wrong there and of course we chamged out the sand. Is the valve handle jiggly? Like the article mentions, if the spring is old it will begin to give. The loose spring allows the diverter to shift up pushing water out where it shouldn’t be, like your backwash port. Hi, I have just installed a brand new vari-flo SPO714T over top of my Filter (S244T) and when setting the dial into the preset groove for “backwash” it doesnt work (no water flows out). However when i push down on the handle and move it slightly more clockwise (out of the grooved position) it works fine. Is this an issue with the spider gasket? Faulty Valve? That seems like a faulty valve, especially with it being straight of the box. I would contact the dealer to get a replacement, ASAP. I’m not entirely sure how, but the pin on our Hayward Multiport Valve came out on one side and now the valve can’t sit where it’s supposed. Getting the pin back in is proving to be a pain, though! I’m having difficulty getting it to line up to be able to go through. When I noticed the valve wasn’t seat properly and the water level in the pool was dropping, I turned the pump off. Since turning the pump off, however, the water level has dropped all the way below the skimmer level. Could water still be draining out even tho the pump is off? A multiport valve is not going to cause laterals to break. I would look into how you are installing the laterals. One of the most vulnerable times for a lateral is when you are adding sand to the tank. That is why we suggest filling the tank halfway with water to the laterals do not take the full brunt of the weight as sand is poured in. Did you check the valve’s diverter spring? Is the multiport valve handle loose? Check the diverter spring. If the diverter spring is broken or displaced the diverter can lose its seal, allowing water to flow through the backwash. A sign the spring is loose is a jiggly handle.